Join us to Our First interNations Official Bangalore Socialite Group Event Protected content We’re arranging for the next Friday, January 18th. At Protected content One of the most exclusive Clubs in Bangalore. First private, luxury, members only club. Is been 2 weeks already since We start a new year, a new goal, a new commitment so now is time to chill out. 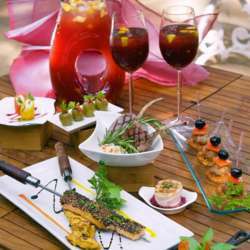 Come and raise a Glass of Sangria follow by exquisite tapas and a fun time to meet new friends. It would be wonderful if you could attend.! Girls wear a flower on the hair. There will be a lucky draw prizes, so don’t forget to bring your card! Note: no registration fee for this special occasion.